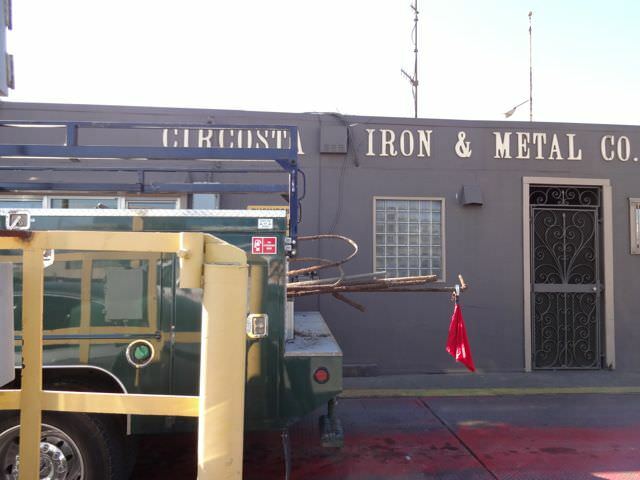 Yet another green facility in our responsible landscape operation is Circosta Iron and Metal Company. 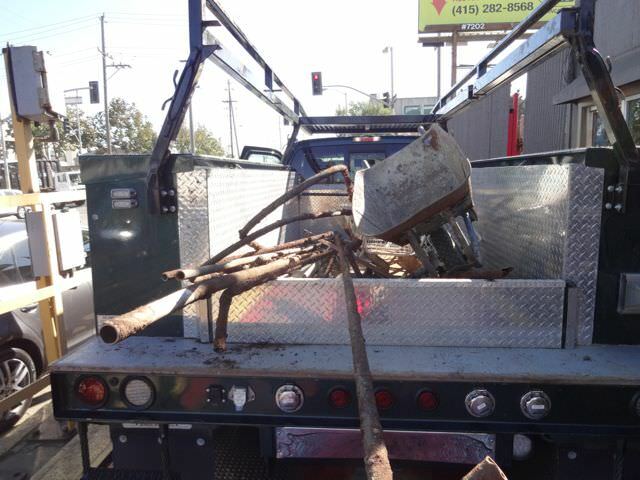 During the demo phase of our projects, we often run into all kinds of old metal fences, rebar, pipes, furniture etc. Instead of bringing it to landfills, we’ll sort it and recycle it. Below you see our truck on the scale prior to unloading. 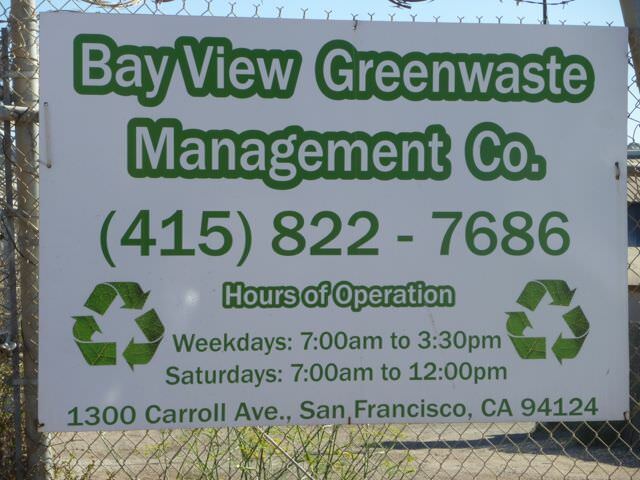 Another recycling company that we frequent is Bayview Greenwaste Management company. They are the epitome of GREEN Recycling and we just love them. 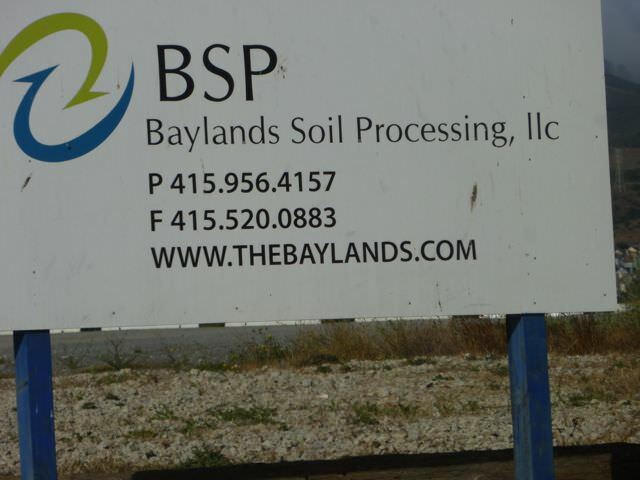 As you may know, green waste such as plants, weeds etc., that are the byproducts of our excavation on new projects, breaks down in our landfills at an accelerated rate (as opposed to other waste) and produce methane gas, which is directly related to depleting our ozone layer. 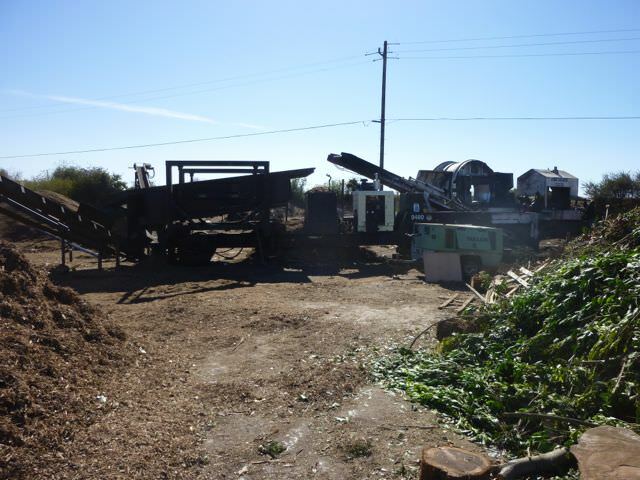 We at Tamate Landscaping sort thru and gather all of our green waste and bring it to Bayview Greenwaste , which in turn grinds it up in a massive kitchen disposer type of machine and they send it back out as compost to condition the rocky or sandy soil that is so prevalent in San Francisco. Its really a “triple whammy” green company. They help reduce methane emissions, keep debris out of our landfills and contribute to a more rich soil, plant growth and photosynthesis, which is our “air scrubber”. Give them a try! 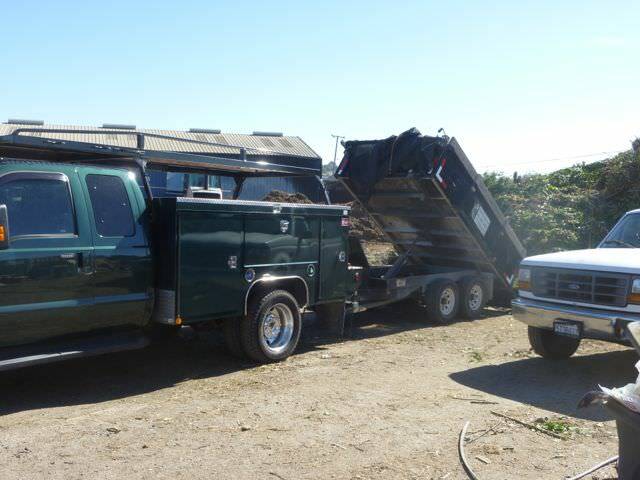 Below you see a photo of Greenwastes’ contact information, Tamate Landscaping dumping their load at Greenwaste and Greenwastes massive grinder.